Dark Souls III is an action role-playing game set in a third-person perspective, similar to previous games in the series. 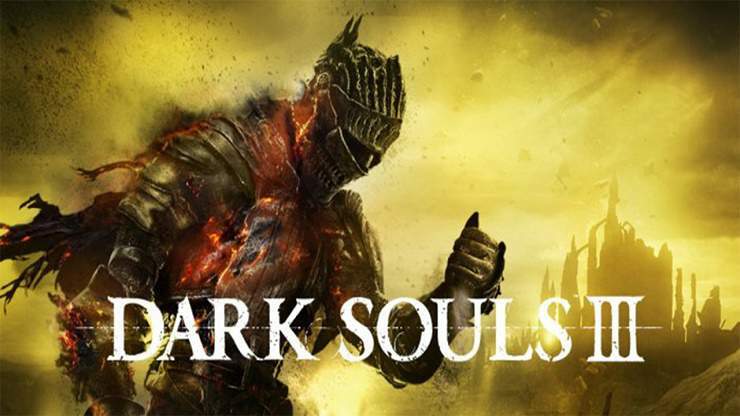 According to lead director and series creator Hidetaka Miyazaki, the game’s gameplay design followed “closely from Dark Souls II”. Players are equipped with a variety of weapons including shortbows, explosives like fire bombs, greatswords and dual-wielding swords to fight against enemies, and shields that can be used to deflect an enemies’ attack and protect the player from suffering damage. In addition, attacks can be evaded through dodge-rolling. Bonfires, which serve as checkpoints, return from previous installments. Ashes, according to Miyazaki, play an important role in the game. Magic is featured in the game and the magic meter returns from Demon’s Souls. Each attack has two different styles. One of them is standard attack, while another provides power-ups to players, and is slightly more powerful. When performing miracles and spells, the players’ magic points are consumed and decreased. In order to refill these points, they need to consume an “Ash Estus Flask”. There are two different Estus Flasks in the game. One of them refills hit points like previous games in the series, while another helps refill magic points. Combat and movements were made faster and more fluid in Dark Souls III. Several players’ movements, such as backstepping and swinging heavy weapons, can be performed more rapidly, allowing players to deal more damage in a short period of time. Throughout the game, players encounter different types of enemies, each with different behaviors. Some of them change their combat pattern during battles. New combat features are introduced in Dark Souls III, including “Weapon Arts”, which are special abilities that vary from weapon to weapon that enable extra damage and unique movesets for a limited time, at the cost of magic points. Small gravestones are introduced. These gravestones light up when interacted with and not only serve as players’ torches, but also provide additional lore to the game. The game puts more focus on role-playing, in which the character builder is expanded and weapons are improved to provide more tactical options to players. The game features fewer maps than its predecessor Dark Souls II, but levels were interconnected and were made larger, which encourages exploration. The adaptability stat from Dark Souls II was removed from Dark Souls III. The game features multiplayer elements, like the previous games in the series. Wikipedia®. Trainer for the game Dark Souls III, you can use it to activate these essential Cheat Codes: Infinite HP, Infinite FP, Infinite Stamina, Items won’t Decrease, Zero Weight, Infinite Equipment Duarability, 100 % Drop Rate, Infinite Souls, Add 100000 Souls, One Hit Kill, Super Speed, Souls won’t Drop Upon Death, Add Vigor, Add Attunement, Add Ebdurance, Add Vitality, Add Strength, Add Faithz, Add Intelligence, Add Luck, Reset Level, Never Poisoned, No Bleeding, Never Frosted, Ghost Mode, Never Cursed, Enemies cannot Move. Note: This cheat tool is for the original version v1.15 of the game Dark Souls 3.